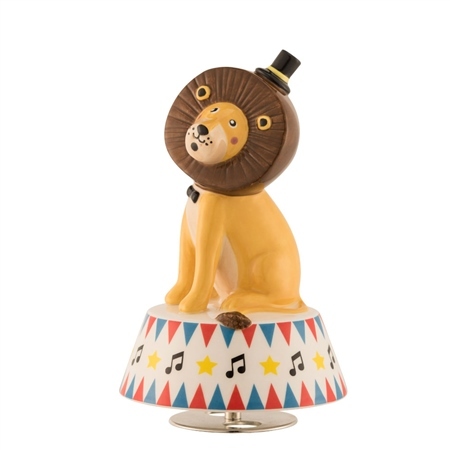 Add a little fun to your nursery with this Circus Lion Musical Ornament. It features a friendly lion wearing a top at and dickie bow sitting awaiting its next trick at the circus. The Musical ornament is free standing and when being played it allows the lion to turn in a circular motion. The tune that this musical ornament plays is "Entry of the Gladiators"